This workshop frees the artist from preconceptions by opening up a different way of looking at a subject while exploring the power of dark and light. 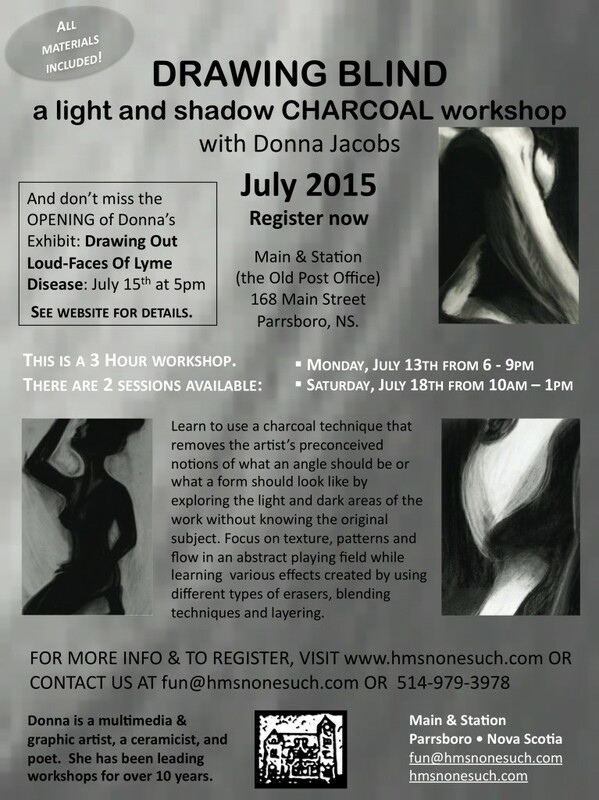 Donna will teach a variety of techniques including ‘drawing blind’, an approach to working with charcoal that uses a prepared bodyscape as the model. 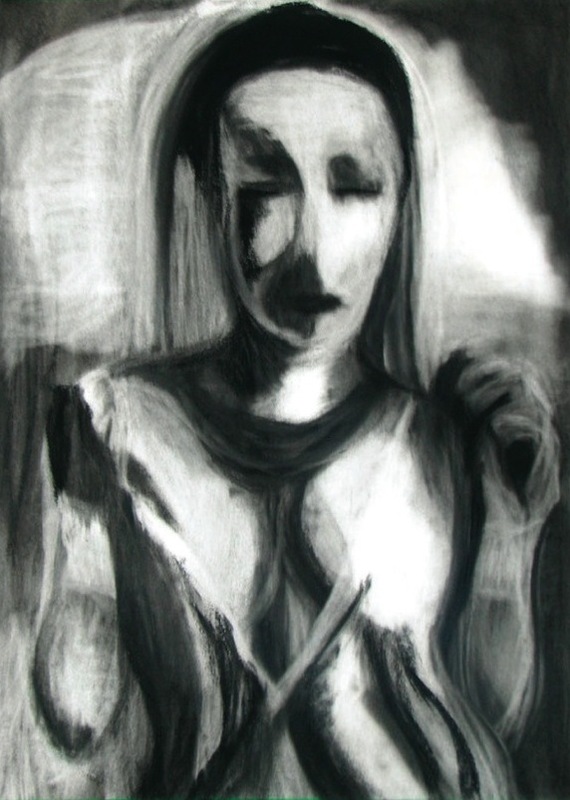 This method removes preformed notions of what an angle should be or what a form should look like by exploring the light and dark areas of a work without knowing what the subject is. This allows the artist to focus on texture, patterns and flow in an abstract playing field, along with discoveries of the effects using different types of erasers, blending techniques and layering the work for an almost 3d effect. The focus is on simple forms with different surface qualities and how to portray the effects of light to create depth and realism. 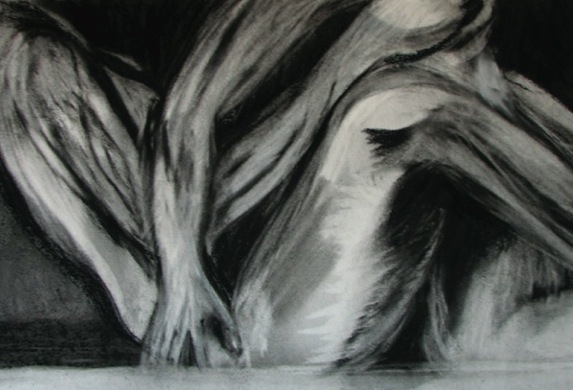 By the end of the workshop we will not only have learned how to use charcoal to its fullest, but also how to create a powerful composition that tells a story and leads the viewers eye through the work. REGISTER EARLY - CLASS SIZE IS LIMITED – REGISTER NOW! To register, please fill in the form below and send your payment to reserve your place. An email will be sent to confirm your registration and receipt of your payment. Looking forward to it. To whom do I send my cheque?